Takashi Inui may have begun his European adventure in the second tier, but it was never going to be long before the talented attacking midfielder rose to the top of the German game. Born on June 2, 1988 in Omihachiman, Japan, Unui signed his first professional contract at J. League 1 side Yokohama F. Marinos in 2007, where he would go on to make thirteen appearances in all competitions, before moving to second division club Cerezo Osaka a year later. The diminunitive playmaker went on to become a regular fixture at Cerezo, helping them gain promotion to the top-flight in 2010. Inui found the net another 20 times on his return to Japan's top division, before making the move to VfL Bochum of Bundesliga 2 in 2011. Following in the footsteps of then Borussia Dortmund playmaker Shinji Kagawa, Inui became an overnight hit in Bochum, scoring seven times in 30 appearances for the club and became a full international for Japan. 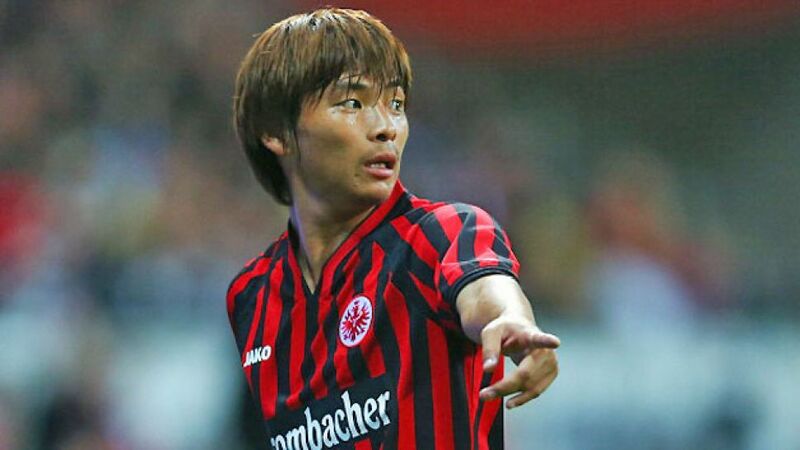 Though committed to a three-year contract, the 24-year-old found the lure of the Bundesliga too tempting and, in the summer of 2012, signed a three-year deal at newly-promoted side Eintracht Frankfurt, joining the likes of Hiroshi Kiyotake and Makoto Hasebe in flying the Japanese flag on German soil. It didn't take long for the midfielder to make his mark in Germany's top flight as he featured in all but one of the Eagles' 34 Bundesliga encounters in his debut season. An enviable turn of pace and impressive technical qualites, Inui registered six goals and eight assists as he emerged as a key piece Frankfurt's counter-attacking puzzle to earn himself a spot in Japan's squad for the 2013 FIFA Confederations Cup.